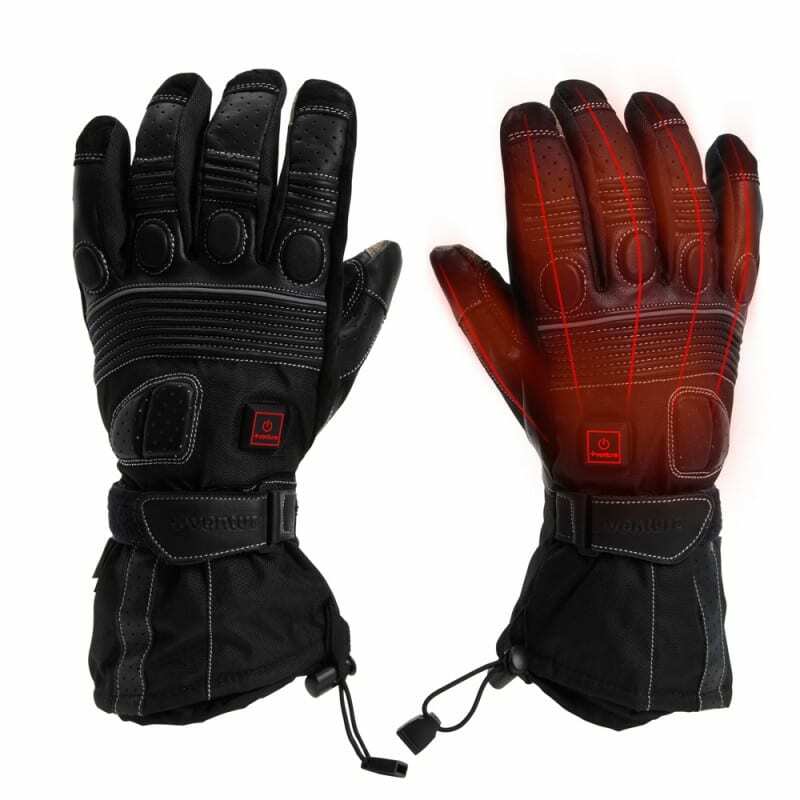 Venture Heat’s warmest Touring glove yet, the 12V Heated Motorcycle Touring Gloves are great for year-round riding. When your hands get cold while riding it effects your ability to use the bikes controls and creates a real safety issue. Not to mention your hands and fingers are usually the first things to get cold and the rest of your body follows so if you keep them warm then it can affect your whole body. 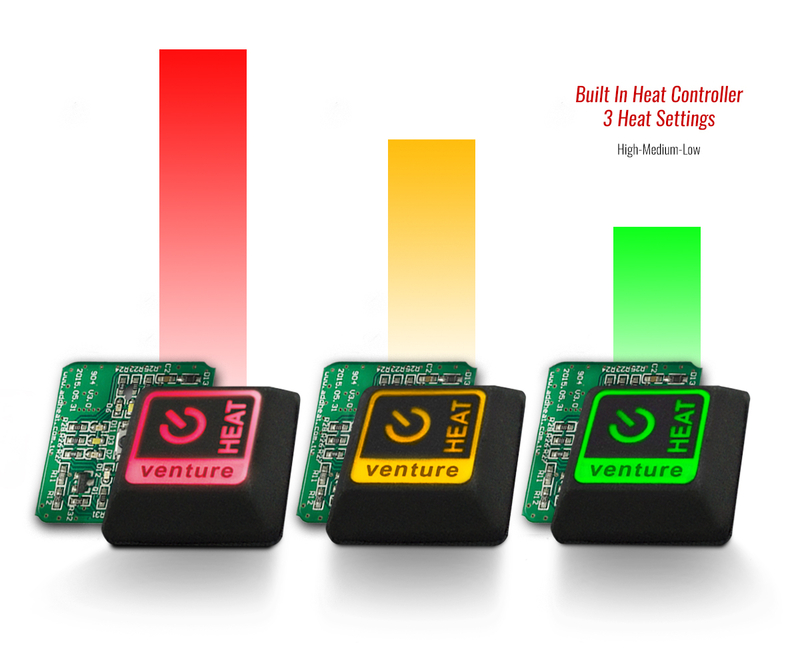 Venture Heat’s micro-alloy fibre heating elements are strategically placed on top of the hand and fingers wrapping around the palm and thumb. An extra protective gel knuckle, palm and finger cushions along with reinforced fingertips gives you the dexterity you need to keep the cold air out on your rides. Eliminate cold hands and ride all year round. 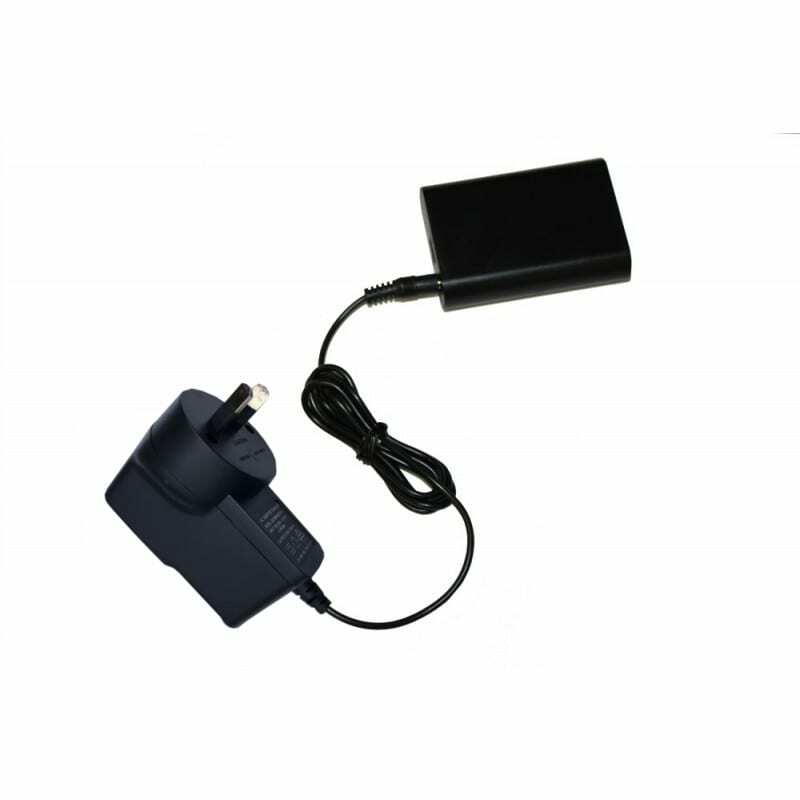 Ventures 12V Rechargeable Battery can be purchased from our 12V accessories page as it “12V Gloves and Duo Vest Rechargeable Battery and Charger Accessories” so you don’t have to be wired to the bike. Glove sizing is done against the circumference of the hand. This is done by putting a tape measure around your knuckle and around the palm of your hand (do not include your thumb). The Dintex waterproof Membrane was engineered with one thing in mind: keep you dry and comfortable. 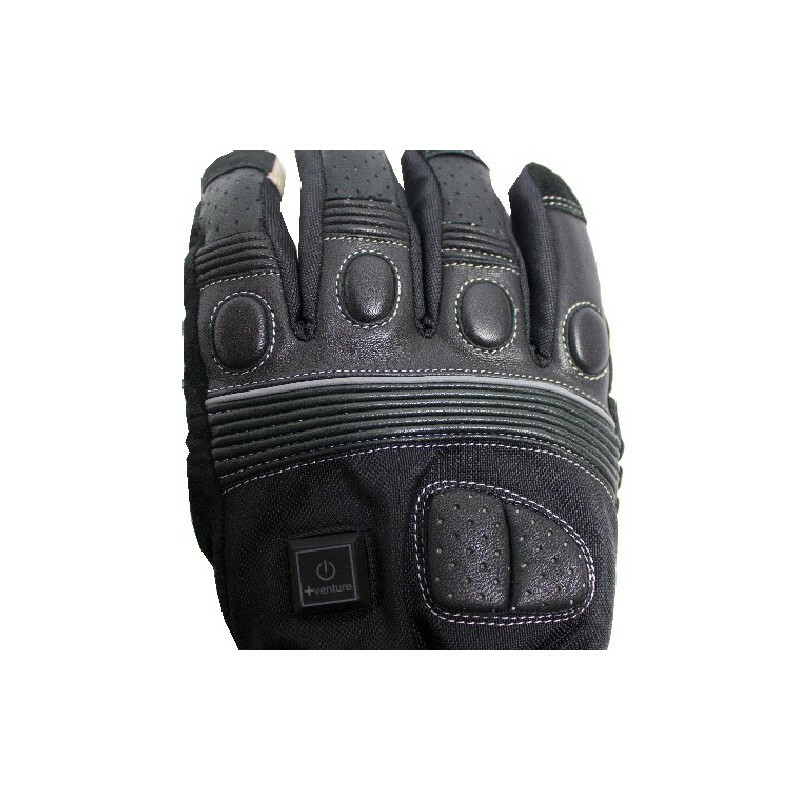 The membrane has an impenetrable layer to prevent any water or wind into the gloves while still being highly breathable. Our Xtreme Comfort Technology is the pinnacle of Venture Heat products – ultra-thin flexible heating panels eliminate the bulk of heating coils in the hand by using micro-alloy fibers. 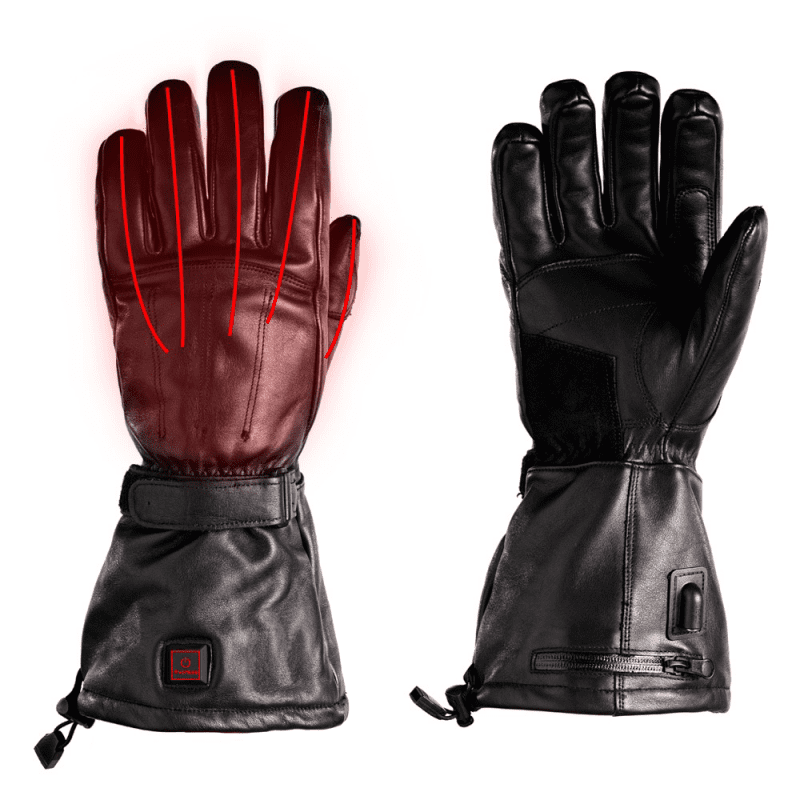 This allows for durable heating elements while providing strong and safe heat for hands. 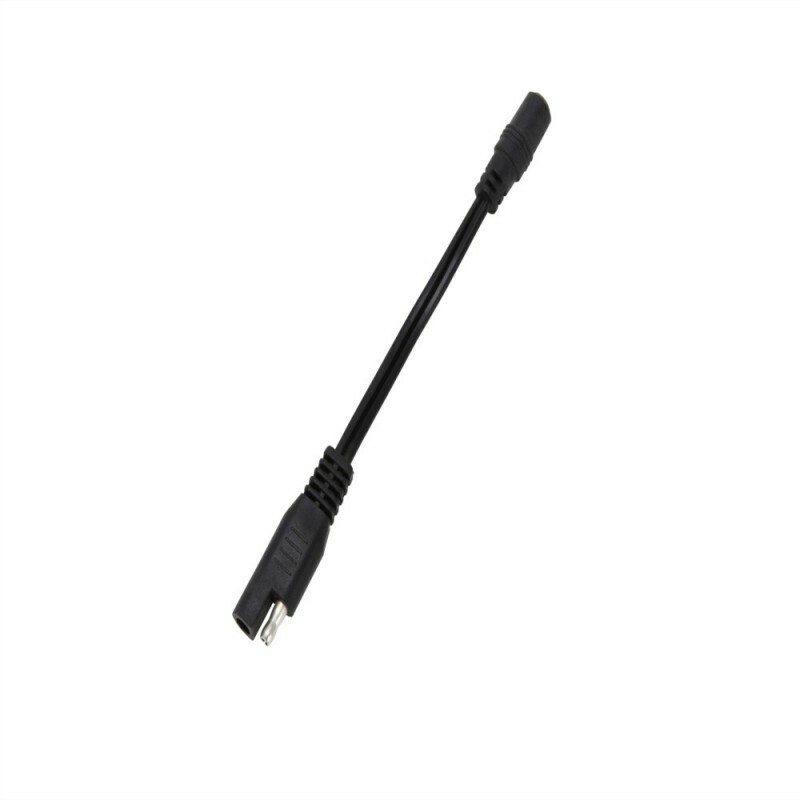 Venture Heat’s cabling is a coax cable that is designed quick release, just in case you forget to disconnect from the bike. The Heated Motorcycle Touring Gloves are constructed with premium Nappa Leather and a waterproof membrane, they will keep your hands protected and warm while you are out on your adventure. 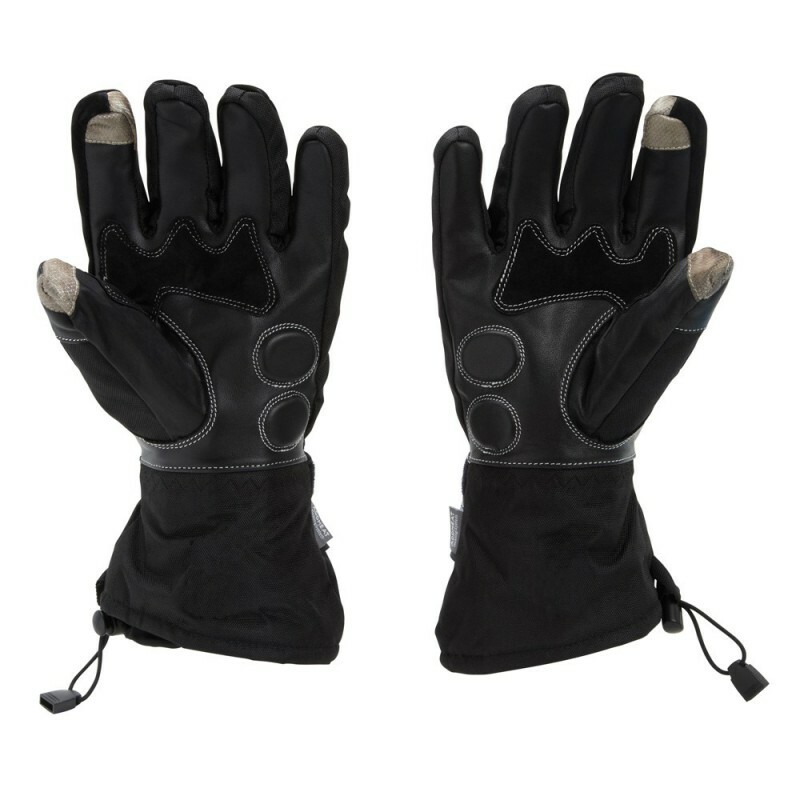 These heated motorcycle gloves also feature a form fitting adjustable hook and loop strap with an adjustable hem cinch on the wrist so you can create your personal micro-climate. 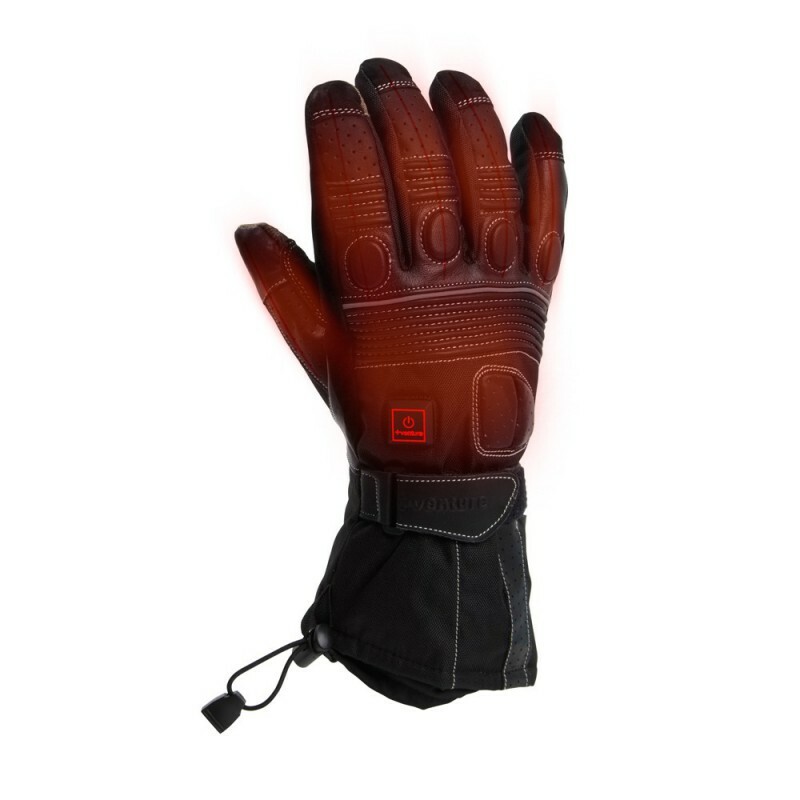 Each glove index and thumb has touch screen capabilities so that you can pull over and use your touchscreen device without even taking your gloves off. I bought these gloves about 12 months ago.. Being a sufferer of Raynauds (google it) my hand suffer greatly from the cold. Heated grips are ok but the top of the hand and fingers are still exposed to the cold but these gloves heat the this area. I have ridden over the mountains and all over Tasmania in the cold and these gloves were fantastic. 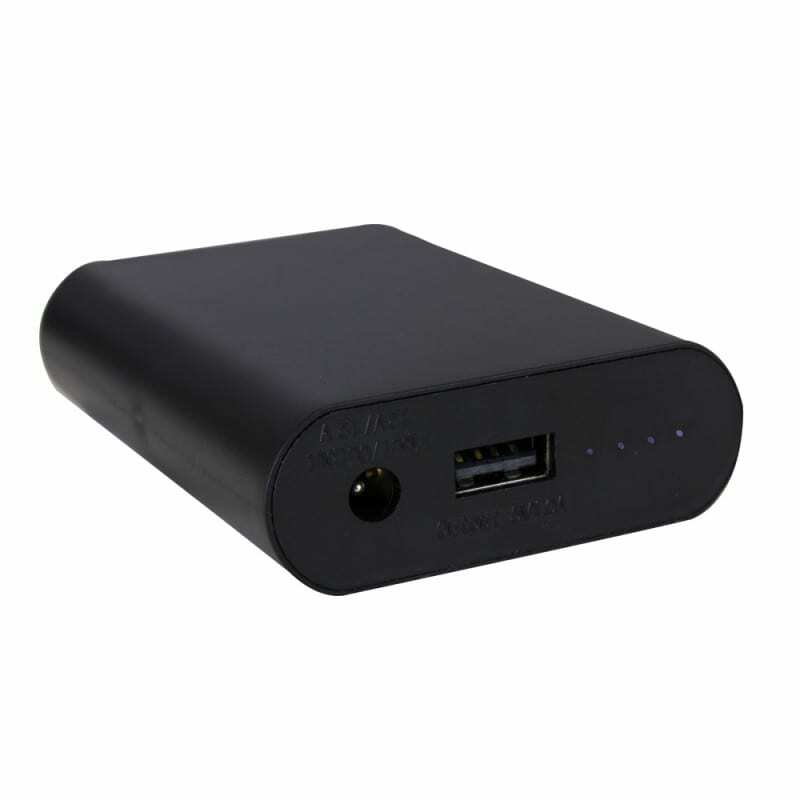 I now intend to get the battery powered ones for short trips. 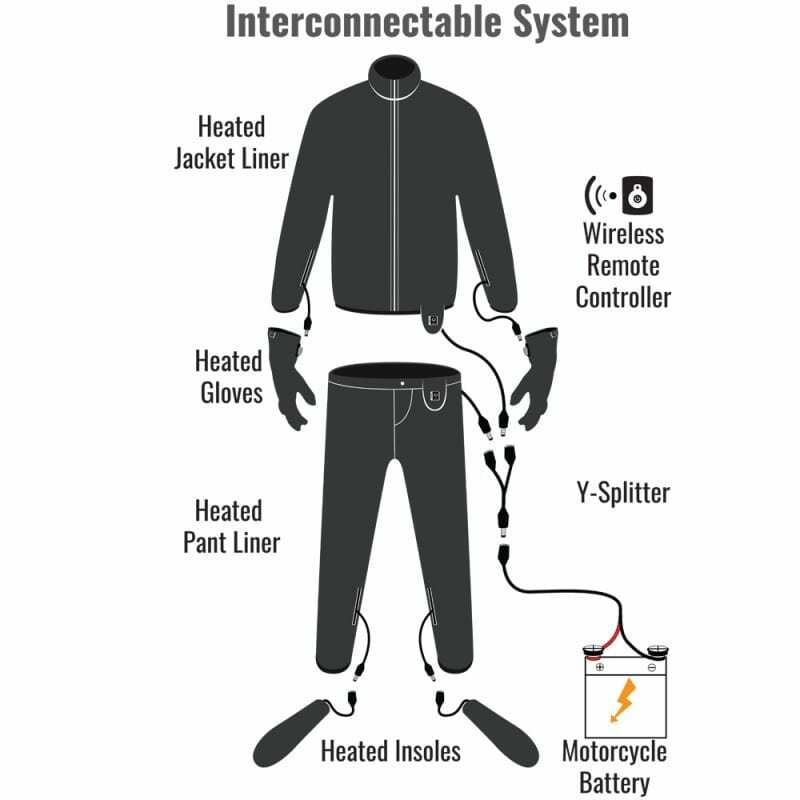 Designed for motorcyclist already installed an easily accessible Battery Tender Cable to the vehicle's battery. 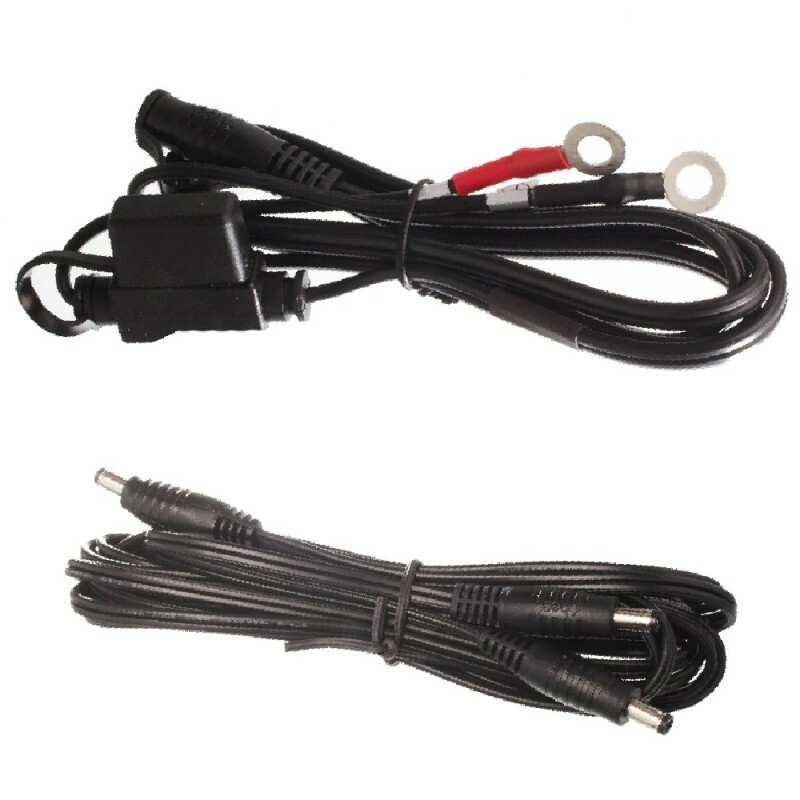 Convert the SAE battery lead (used by most motorcycle battery tenders) to a coax connector for our heated gear. You may be able to utilize that harness without installing another Battery Harness. 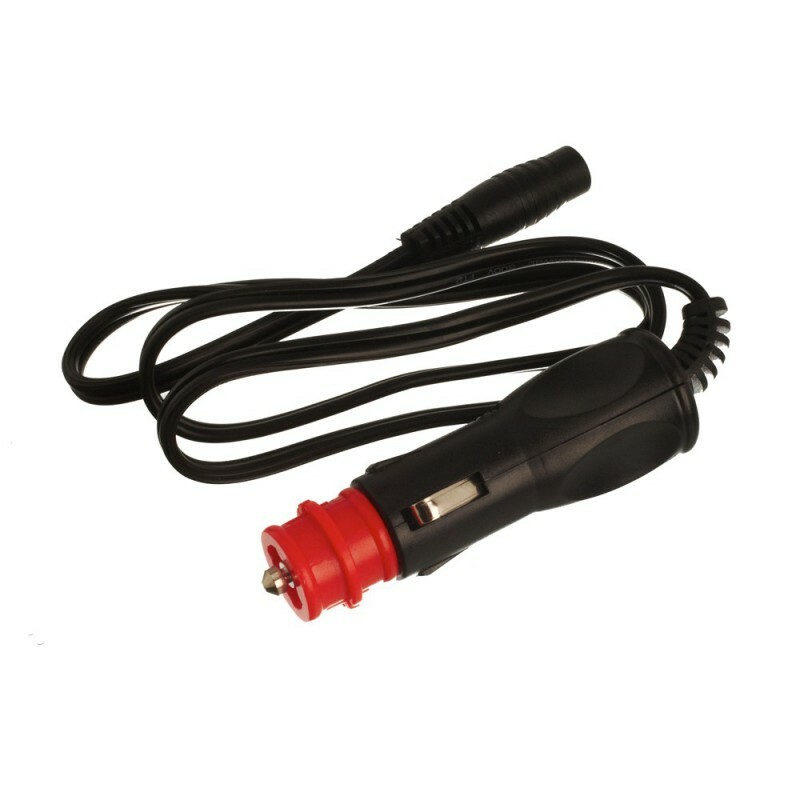 If your vehicle is equipped with a cigarette lighter port, you can utilise it to power select 12v heated gear without installing a battery harness. Due to the limitation on the vehicle's power output, we recommend checking your vehicle's manual to ensure that it offers sufficient power from the plug. 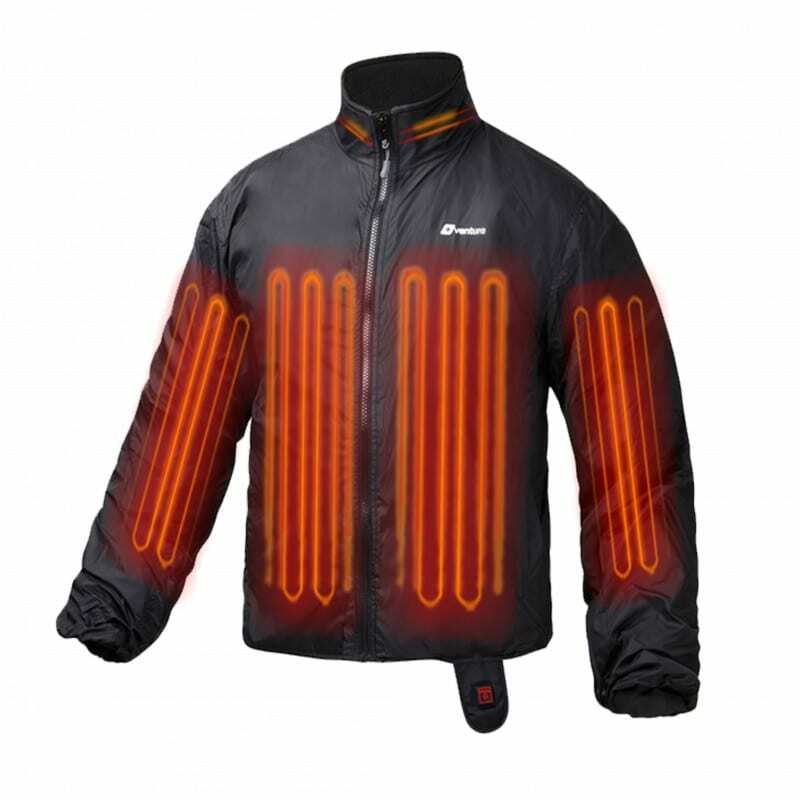 Ideal to power your 12V heated gloves, heated insole, or hybrid heated vest totaling less than 4 AMP total draw. Comes with 10 AMP fuse. For use with all 12V items under 10 AMPS.